In 1883, Wilson wrote to the V&A’s director: “I am trying to secure the [whole] sarcophagus for England and should wish the head eventually to go to whomever secures the sarcophagus.” In the meantime, he offered the head on loan. His daughter converted the loan into a donation in 1932. In 1934, the museum considered returning the head to Turkey. Aziz Bey, the head of antiquities in Istanbul, offered, “in exchange, an object of the same value”. 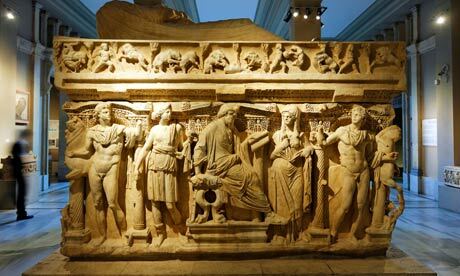 The V&A director, Eric Maclagan, then wrote to the UK Board of Education asking permission to deaccession and suggesting that the Turks should be asked for a Byzantine carved marble sculpture. In a minute dated 20 April 1934, Maclagan recorded that the return would “raise the difficulty of possible repercussions, particularly with regard to the Elgin Marbles [at the British Museum], but I think we could justify ourselves by pointing out that this is a question of a single head missing from a large monument, of much more value if replaced than if exhibited by itself.” The Board of Education and the Treasury then agreed to the V&A returning the head. There the correspondence in the file abruptly ends – and it remains unclear why the proposed exchange never took place. The legal hurdles are seemingly mundane. Perhaps Turkey needs to reform its laws so as to allow for easier short-term loans of material to take advantage of the Italian approach to repatriation (i.e. returns of loud and notorious objects in exchange for short term loans of other material). But on another level this seems terribly unfair for Turkey. The just thing to do would be to reuinite the head with the rest of this object. Yet Turkey is meant to somehow argue for return of hacked off art generally, while the V&A can justify its continued possession on a tenuous property interest which the late Sir Wilson acquired by chipping off a hunk. Doesn’t justice dictate a different result here? 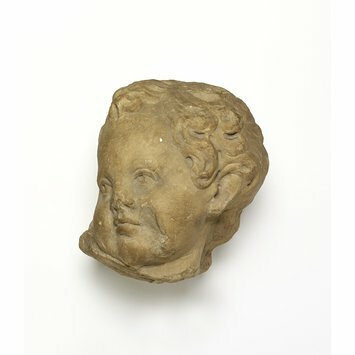 Turkey renews claim for long lost head, The Art Newspaper, http://www.theartnewspaper.com/articles/Turkey-renews-claim-for-longlost-head/32582. Previous Previous post: An immunity from seizure bill makes museums havens for stolen art?